It started with a dare. Kimm McKallips had mostly been a stay-at-home mom for about 15 years. 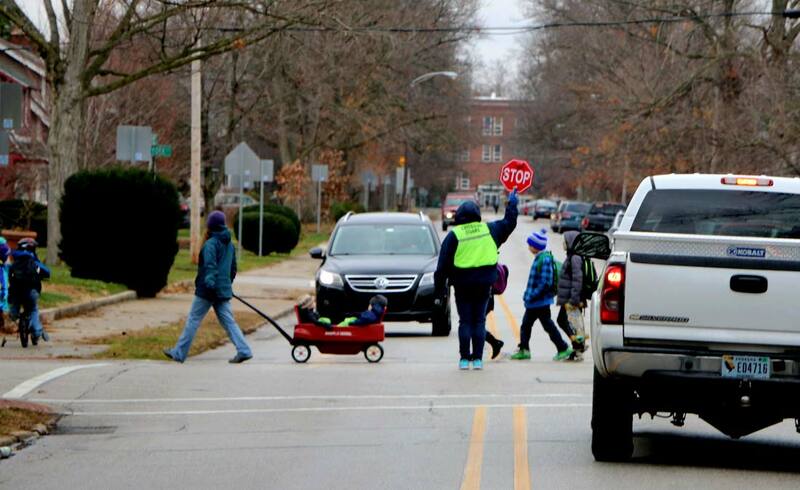 The mother of five – three boys and two girls – had sons who ran track and cross country at Goshen High School. One day, she did what all good high school sports parents do before a meet: take food to their kids before they head off in a bus. 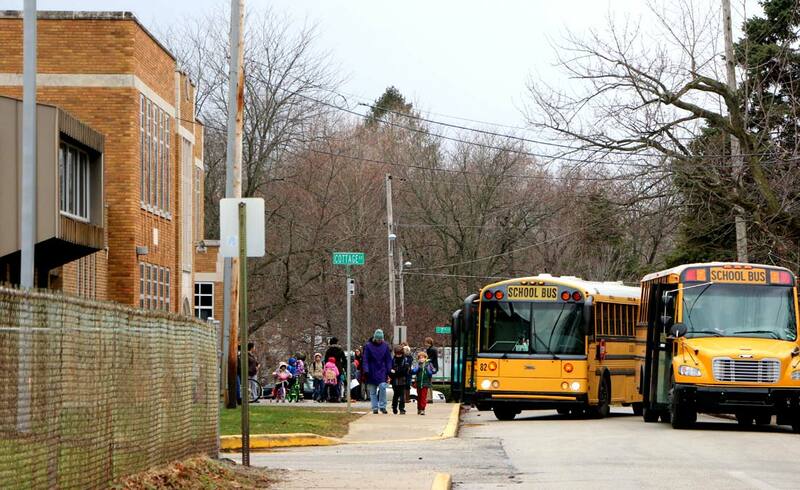 Before one meet, the bus was at the school but the driver hadn’t arrived. 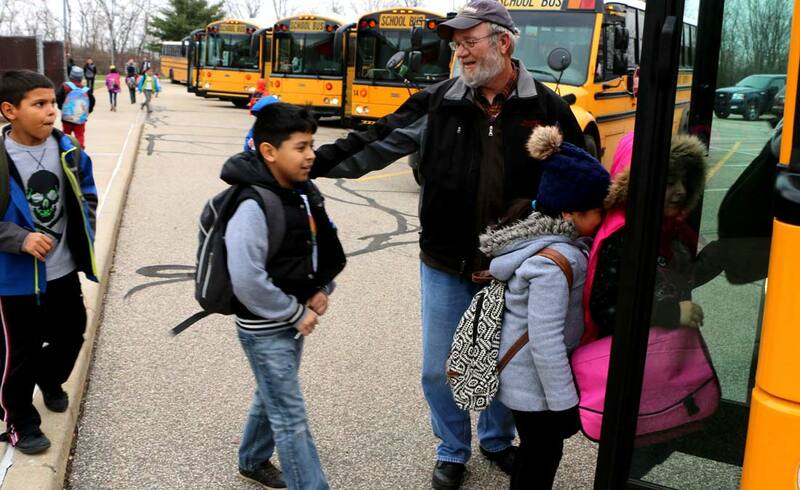 The coach explained that the drivers were finishing their school routes. “I said, ‘Oh, that’s really too bad,’” Kimm recalled. At that point, the coach “dared” her to be a bus driver. Kimm was skeptical. Kimm started as a substitute driver in 1999, and became a full-time driver in the spring of 2000. 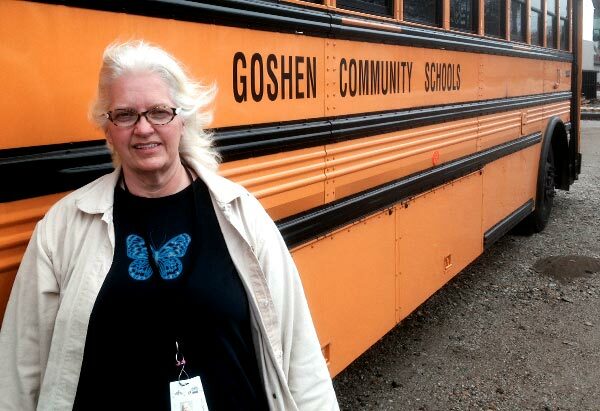 These days, she’s one of close to 40 Goshen Community Schools bus drivers dedicated to transporting the children of the Maple City safely to and from school and other activities. 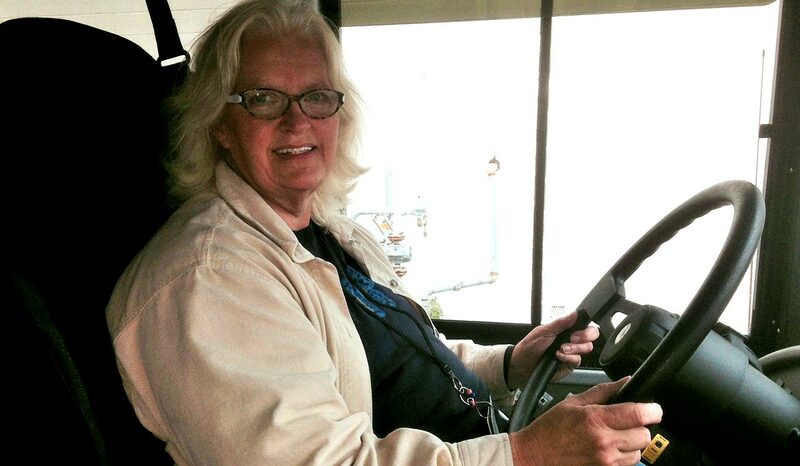 For Kimm, the decision to become a bus driver made sense. Want To Drive A Bus? 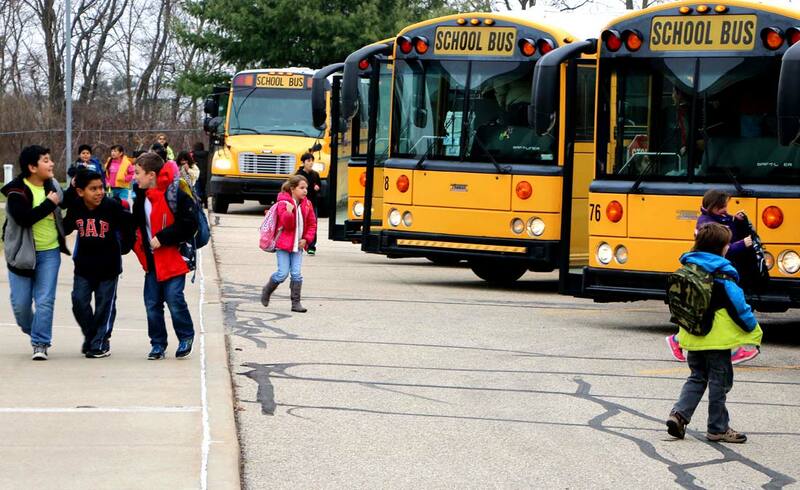 For be a substitute driver or inquire about other bus driving opportunities at GCS, visit the website. Kimm is from Sheboygan, Wis. (“Where they make the wonderful Johnsonville brats,” she noted). She came to Indiana in December 1977, right before a massive snowstorm that was her introduction to the Hoosier state. She met her future husband while living in Warsaw, and the two were married in 1979. The family eventually settled in Goshen in the mid-1980s. Fun fact: The name that appears on Kimm’s driver’s license doesn’t quite jibe with what GCS students have called her for the past 16 years. “I always go by ‘Mrs. M,’” she said. As a driver, Mrs. M’s day begins early in the morning. Kimm’s pre-trip routine also includes checking that emergency window releases are working, inspecting tires for flats, and making sure all alarms sound. It’s a big daily checklist, but one Kimm can accomplish in about 15 minutes because she’s been doing it for so long. 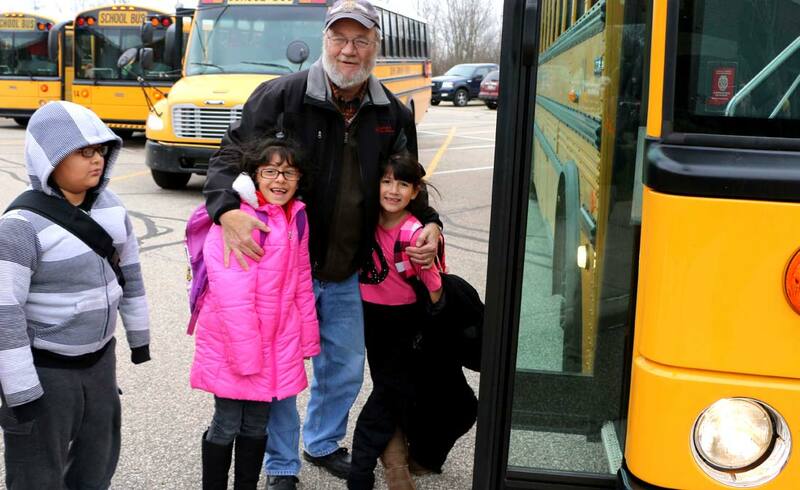 In fact, Kimm has been driving a bus long enough that she occasionally encounters students who rode her bus years ago. “I took a group up to IUSB recently for a college visit,” she offered by way of example. 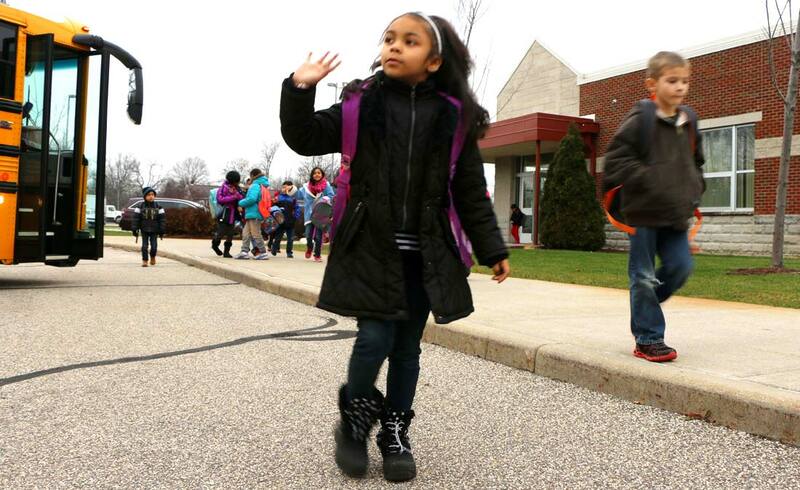 Kimm will point out to the student that he or she has probably grown up a lot since they last saw each other. She then asks where they live, adding that then she’ll probably remember at least their first name. Sometimes a student will ask if Mrs. M still has one or another of her bus rules. Her response? “Why do you think I’d change?” she said with a laugh. 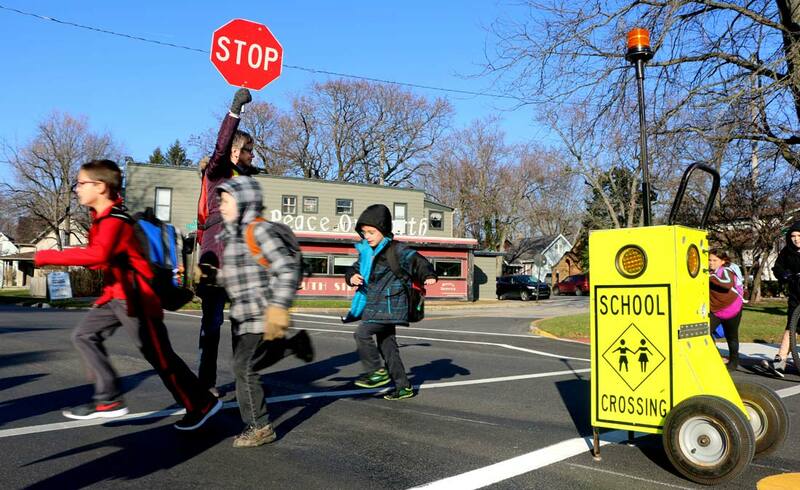 Thanks to everyone who helps to safely get kids to and from school! Mrs. M has rules, and she’s stuck to them for years. One rule is that there are always assigned seats on her buses. GCS administrators encourage drivers to know the kids on their bus and say their names when they get on. Kimm supports that idea wholeheartedly. 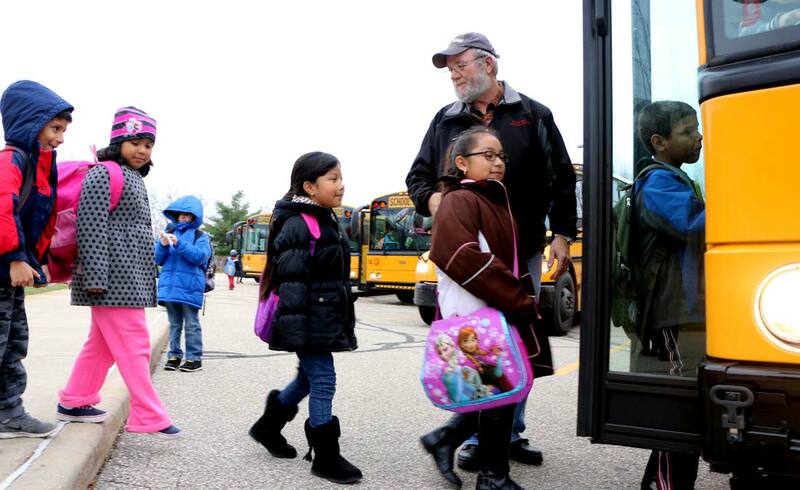 “Some kids will get on the bus sad, or they’ll have a bad day at school,” she said. Something as simple as saying a child’s name and asking, “Are you OK?” can make a big difference. Being a bus driver comes with a few challenges, though. 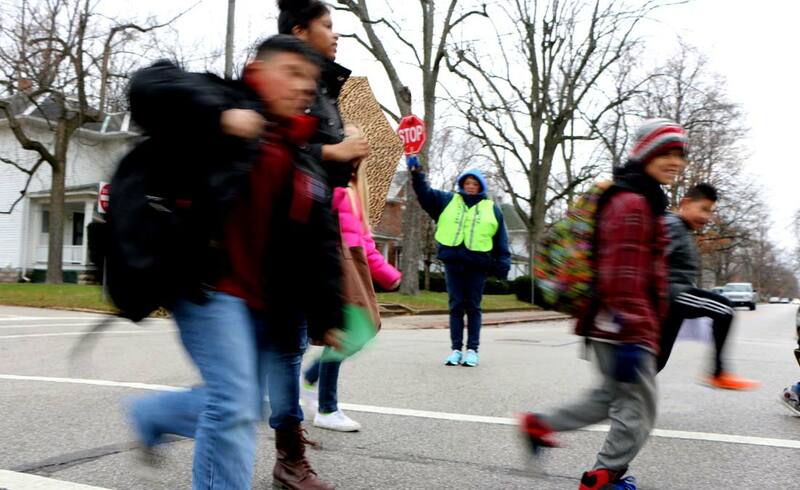 For one, keeping the bus of children safe. 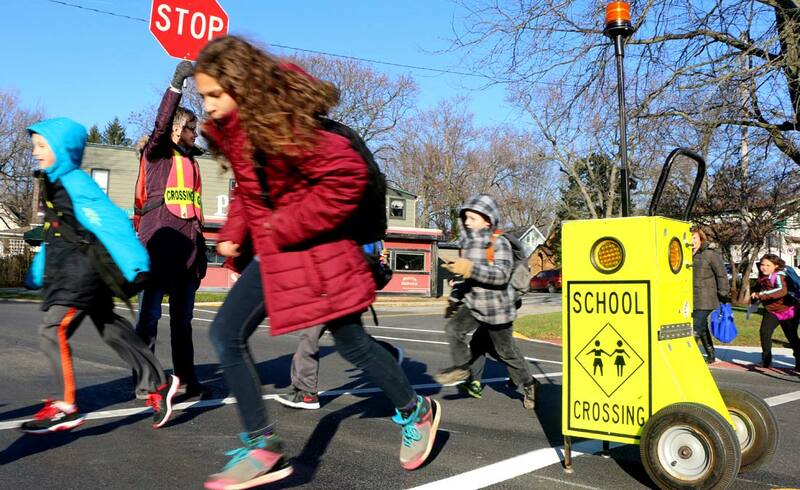 “It’s always a challenge when the general public doesn’t stop when I’m stopped and I have the red lights flashing, and I have two great big stop signs on the side of my bus making it obvious that I’m stopped,” she said. 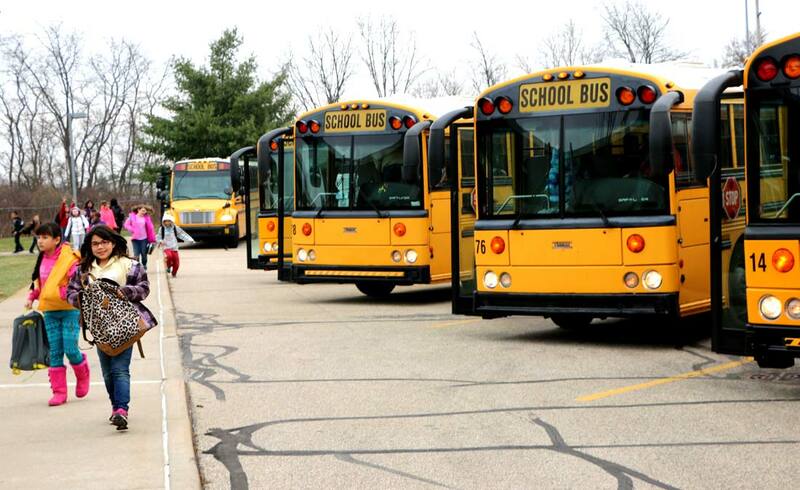 Student safety is a top priority for bus drivers, and Mrs. M has some simple advice for other drivers on the road. “It’s the law to stop,” she said. 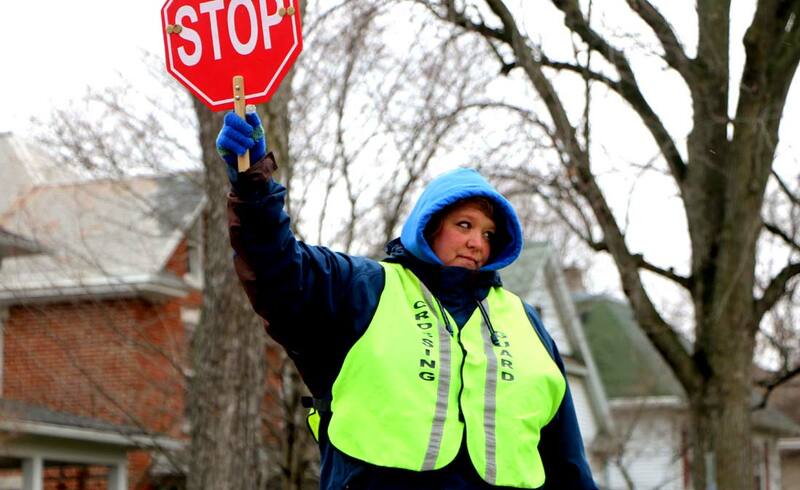 For Kimm, there’s a satisfaction in completing the job every day – “getting everybody to school and everybody home safely” has always been her number one priority. Kimm said she could retire, but she isn’t planning to just yet. And so, 16 years after she accepted a dare, Mrs. M is still behind the wheel and on the road.